This year as part of the 21st Annual Vail Jazz Festival, we pay tribute to the contributions that women have made to jazz, presenting some of the top performers in jazz today. The festival culminates with the screening of the wonderful documentary film “The Girls in the Band” and a special performance of a “Multi-Media Tribute to Women in Jazz” over Labor Day Weekend. Much has been written about the plight of women in jazz and how difficult their journey has been in the male dominated genre. While focusing on this issue in an upcoming article, today I want to pay tribute to Hazel Dorothy Scott, a jazz pianist, singer and entertainer, not because of her prodigious musical talents (she was a remarkably gifted and dedicated musician), but because of her dedication to her ideals that epitomized her strength of character and a commitment to honesty and integrity that we all too often pay lip-service to: “to thy own self be true.” Her story has rarely been told, but it deserves to be known by all as she was a remarkable person. A music prodigy, Scott was born in Port of Spain, Trinidad and Tobago in 1920, and was brought to New York City at the age of 4. By the time she was 8, she was attending the Juilliard School on scholarship and by her teens she was an accomplished pianist performing in a jazz band and on the radio. 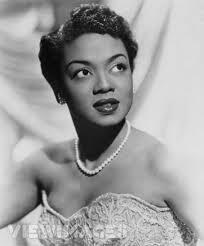 Among her early credits were performances at the Roseland Dance Hall with the Count Basie Orchestra, Café Society’s “ From Bach to Boogie-Woogie” in Carnegie Hall and theater appearances in the “Cotton Club Revue of 1938.” Scott was equally comfortable performing classical and jazz (including blues and boogie-woogie) repertoire on the piano and singing ballads and Broadway tunes. When she and a companion were refused service in a restaurant in Washington in 1949, Scott brought suit and inspired civil rights organizations to successfully pressure the state of Washington to pass legislation outlawing discrimination in public accommodations. By 1950 she was the star of “The Hazel Scott Show,” becoming the first African American woman to have her own television show. By all accounts, she was sitting on top of the world, having conquered stage, screen, nightclubs and finally television, but storm clouds were gathering in the U.S. and Scott was one of many caught up by the Red Scare of Joseph McCarthy. Called before the infamous House Un-American Activities Committee to testify, Scott’s lifetime of hard work was destroyed in one afternoon. The week following her testimony, Scott’s television show was cancelled and her career began to decline and work became harder and harder to get. By the late 1950s with her career in shambles, Scott left the U.S. for Paris and for the next decade she struggled to maintain her career, appearing in French films and touring periodically in Europe. In 1967 with the Civil Rights movement well underway, she returned home but never regained the career she once had. Playing occasional nightclub gigs, Scott began appearing in daytime television soap operas until 1981, when she died of cancer at the age of 61. Hazel Dorothy Scott paid a dreadful price for having the courage to stand up and fight for what she knew was right, but her commitment to her principles inspired countless others to defend their rights and paved the way for successive generations of people of color to have an equal opportunity in the film and entertainment industry and beyond.